This is a guest post by Daniel Key who is an ex member of Haringey and of Tower Hamlets Green Party. He is a member of the Policy Committee of the Green Party of England and Wales. He tweets at @danieloliverkey. 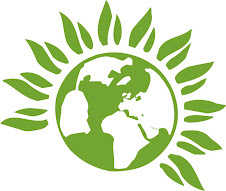 Last weekend, the Green Party of England and Wales made history by joining the United States Green Party in calling for an end to the private creation of money by banks. After a debate on the motion at the Autumn Conference in Brighton, the Green Party has collectively decided to instead place this power with a democratically accountable National Monetary Authority at the Bank of England. This represents a huge change in Green Party policy, as we are now calling for full reserve banking, alongside other radical policies such as a citizen's income, land value tax and of course the decarbonisation of the entire economy as we move to a post carbon and equitable world. To recap: currently private banks create money as debt when they make loans. This electronic bank money now represents 97% of the UK money supply, with only 3% being created debt-free by the government in the form of notes and coins (a good place to start to understand the UK money system is the one hour documentary 97% Owned. This money is allocated by the lending decisions of the high street banks, and so we see money pumped into the housing market (putting house prices way beyond the means of young people) instead of small businesses, as banks receive collateral if mortgage holders default on their loans. This is massively undemocratic, as control of the banks' power to create money is in the hands of its board members, who are only accountable to the bank's shareholders. 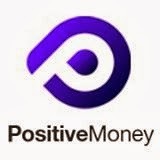 Money creation is pro-cyclical – too much is created in an economic boom, whereas we are currently living through a period where lending is restricted and money is therefore destroyed when debt is paid down. This is why the Bank of England has introduced quantitative easing to indirectly get money into the economy, and the government has introduced the Help to Buy scheme to encourage the public to take on more debt, creating a housing bubble in the process. From an environmental perspective, the biggest problem with the current money system is that the level of debt is constantly growing. This in turn means the economy is compelled to grow, even when this leads to environmental destruction. This is the engine behind such environmentally damaging innovations such as planned obsolescence (designing products with a limited useful life to perpetuate consumption), as Michael Rowbotham recognised in his book The Grip of Death over a decade ago. The current debt-based system of creating money is incompatible with the goal of a sustainable, steady-state economy, as pointed out in the recent green economics book Enough is Enough. To achieve a steady state economy we must eliminate the growth imperative that is built into the existing banking system. As Caroline Lucas points out in this video, the best way to use the debt-free money created as a result of these reforms (estimated at £1 trillion over 20 years) would be to spend it on the Green New Deal in an effort to build the green economy. This way we can get unemployed people into labour-intensive jobs, with more taxes paid by a larger workforce, creating a virtuous circle for government revenues and society as a whole. The potential transition scenario to a full reserve banking system, as well as the finer details of the reforms, are laid out in the book Modernising Money. We have adapted these proposals to suit Green Party principles. With the Icelandic parliament looking into the potential of introducing full reserve banking, we may have a working example of these reforms in the years to come. As the proposer of the motion, Andrew Waldie, puts it, “This motion strikes a blow at the heart of financial capitalism by removing from banks their power to create money”. We may have improved our policies, but the real battle will be taking this power back from the banks when our movement reaches a critical mass. What is the Gagging Law?